They say prevention is better than cure. But how can one prevent an unwanted condition if they do not even know of it? Cherry Mobile tries to help fill in the gap between the people and the source of knowledge and information specifically in terms of deaf awareness. In July, Cherry Mobile launched its Cherry Hears Barangay Caravan – a project targeted at communities with the aim of providing free ear check-ups, hearing tests, and speech and psychological assessments for special children. The launch was held in Barrio Fugoso, Tondo, Manila, in coordination with Philippine Institute for the Deaf (PID) and Philiear. The activity benefited almost 150 patients, most of whom had no idea about their worsening ear condition. People of different ages -- grannies down to their grandchildren -- came to have their ears tested. A lot of people are increasing their level of awareness of medical health care and seek ways to ensure healthy physique. But what many people overlook oftentimes is the health of their ears. They are not aware of the importance of early detection of hearing problems, early intervention, and the special programs available for them. For these reasons, many children or even adults with hearing problems press on with day-to-day difficulties. On the other hand, there are children who are labelled mistakenly as autistic and slow learners while they could possibly be deaf but mentally competent. Cherry Hears sees to it that children are checked early on for hearing problems so that it would be cured immediately and not interfere with their growth. The hearing test checks the range of sounds which the patient could hear. Parents are being advised together with their children on the proper way to take care of their ears. Also on September 13, Cherry Hears went to Kahilom 2, Pandacan, to help the residents determine the current condition of their ears through free ear check-ups and hearing tests. With the help of specialists, the people could determine the health of their ears and seek help should the conditions be worse than normal. Hearing difficulties among children may result in or be related to other sicknesses such as speech disability. To address this need at the same time, Cherry Hears included speech and psychological assessments. Almost 200 patients benefited from the caravan, and many were referred to specialists and corresponding institutions for special therapy and further tests. Age should not be an automatic alibi for poor hearing; thus, even elder people in the community grabbed the opportunity to have their ears checked. A tent pitched outside the barangay hall served as waiting area for the patients. After the hearing test, the patient receives tips from the specialist regarding the proper ways of ear cleaning. In order to bring the necessary information regarding hearing loss prevention to the community, Chery Mobile expanded its deaf advocacy program titled Cherry Hears to include a barangay caravan with special focus on the deaf. Cherry Hears began as a scholarship provider to selected deaf students. 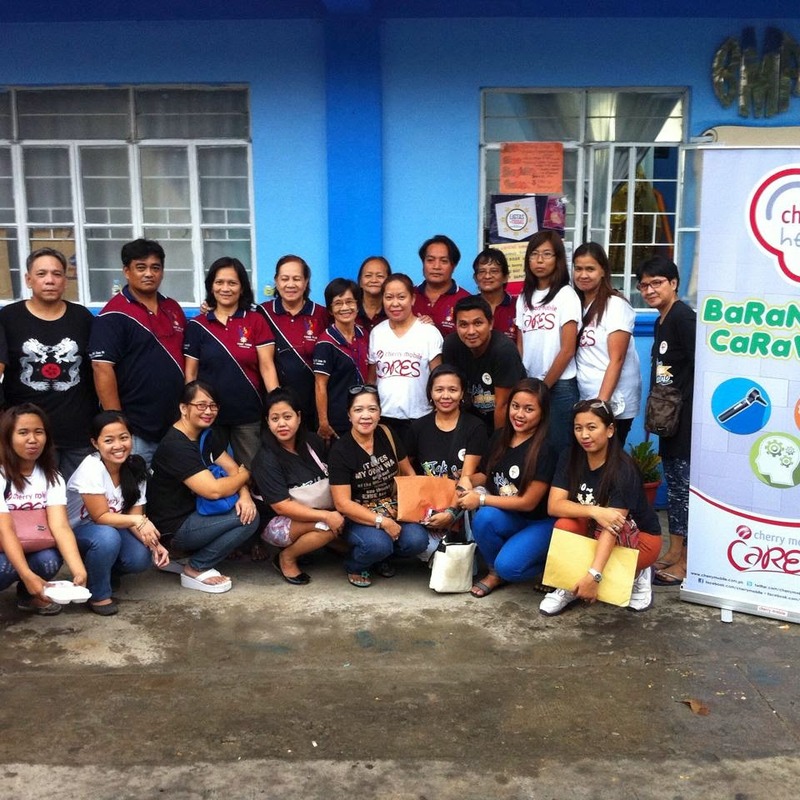 With a desire to help the deaf community on a greater scale, Cherry Hears Barangay Caravan was born. Children that are screened and found to be hard of hearing can be given interventions by Cherry Mobile such as scholarships, hearing aids, or therapy. Learning sessions are also given along with informative brochures to people who show up for the check-up so as to educate them. As a company thriving in a world of communications, Cherry Mobile desires to see people from all age groups to be able to uphold their way of living. For the deaf sector that has yet a long way to go, Cherry Mobile offers its support to make them heard and known.